The National Association of Insurance Commissioners has found that 33% of homeowners believe that a standard homeowners insurance policy is covered by their standard policy. This is not the case. 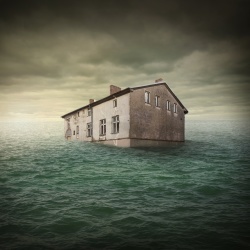 Currently, only 20% of American homes are covered by an insurance policy for flood damage. Living in Southwest Florida, we’re all too familiar with forces of nature that regularly threaten flooding to our properties. Hurricanes, tropical storms and even heavy summer thunderstorms can cause substantial damage to our homes and properties. Don’t leave your home, property and family vulnerable to the potentially devastating effects of flooding, protect them today with a flood insurance plan.